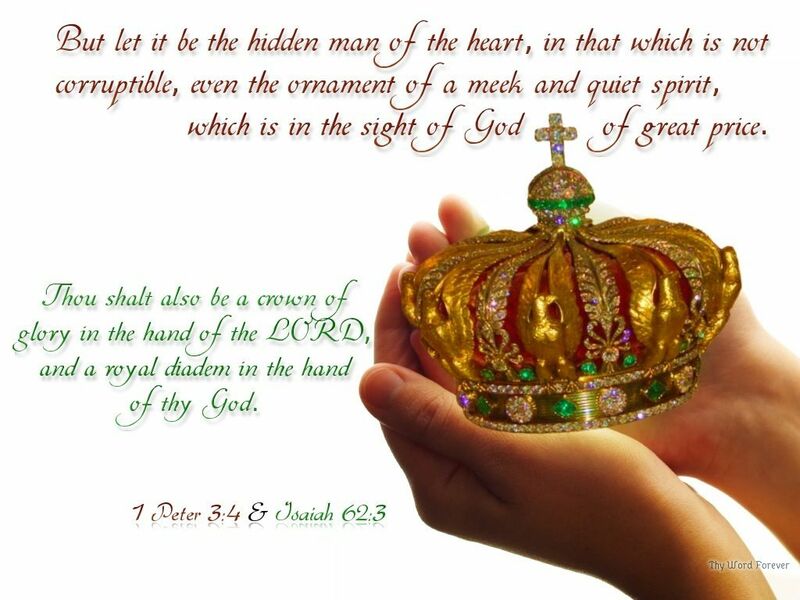 The picture here in verse three is of God holding Israel carefully in His hands, a precious jewel, a crown of glory for the nations to admire. The diadem is more like a tiara or the headdress of the priests, also indicative of Israel’s new relationship with God: The eternal restoration and reconciliation that all other nations will see, and will rejoice to see. In v. 4, the words no more would indicate that Israel had been forsaken by God for a time; but it would never happen again. Hephzibah means delight, or in whom is My delight. Beulah means married, and is a symbolic name of Palestine, just as Hephzibah is a symbolic name for Jerusalem.